NITSA: Snow-Stuck Roads!! Steaming Maggi!! Scintillating Shimla!! Snow-Stuck Roads!! Steaming Maggi!! Scintillating Shimla!! The moment we consider our wish as our command, is the moment when we start taking care of our minute desires. Later in time we realize that it is not the money that makes us smile but memories do. So never ever be late in making plans to create memories. This is what we did this time to celebrate the moment and to celebrate us. It is winters over here, and I always wanted to witness snowfall which is not possible in Delhi. In spite of knowing that it would be too freezing in mountainous region, I and Nitin, still planned to go to Shimla to experience one. This time again road trip with our siblings by our own conveyance. 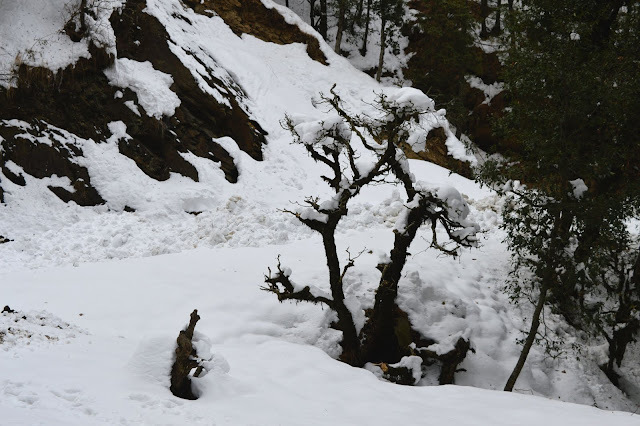 Shimla is generally planned in combination of one day tour to Kufri. Though Kufri is a small hill station in Shimla District itself, it comes awarded as the highest point in the surrounding region. It is a Weekend backpack kind of trip to revitalize us from our busy schedule. We are on one night - two days weekend trip to Shimla - Kufri. Shimla is at a distance of 350Km from Delhi and Kufri comes with a distance of around 370 Km. Both the numbers are quiet close. You might think that we can opt to travel any destination first. But as quite known to all, every law comes with a loophole. Here exists one too. wink-wink. While on a road trip to Shimla – Kufri, There is a small hill station known as ‘Chail’ which comes midway. There are two roads going from Chail, one towards Shimla and another to Kufri. Now the fact to be noted is that most of the time there is traffic jam from Chail to Shimla road. 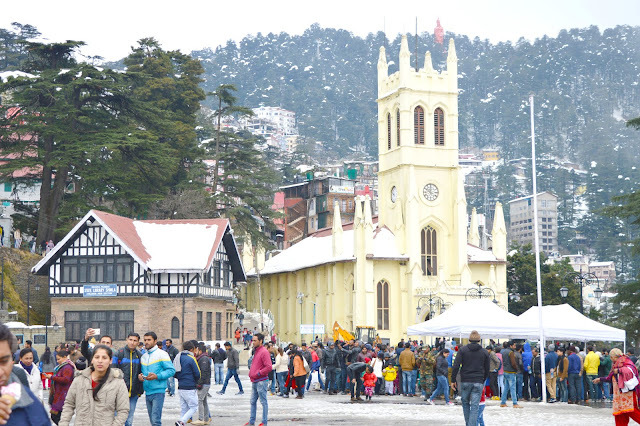 This is because Shimla is one of the most famous hill stations visited by lakhs of people around the world every year. Also, the roads of Shimla are little wider than roads of Kufri. Hence, I just wanted to convey that direct transfer from Delhi to Shimla can consume lots more of your time in traffic and can leave you little frustrated too. 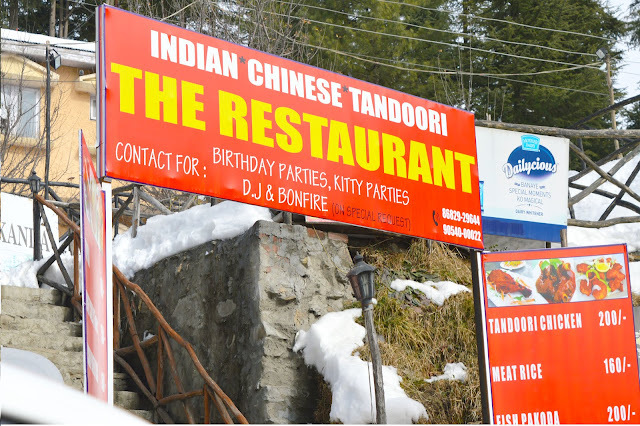 What we planned in our trip is, we headed straight to Kufri from Delhi via Chail road. We had booked our stay in Kufri for the first night. First day we did sightseeing in Kufri, and second day after breakfast we headed to Shimla for the sightseeing. And later in the evening, we left for Delhi via Shimla road. As obvious, it was highly jammed. But this way we saved ourselves from getting stuck in Jam for at least one way. Car Parking is a cumbersome task in Shimla for a newcomer. When we reached Shimla on the second day, we were looking for a decent parking area which is secure enough for our luggage as well as car. We also seek guidance of lots of people there. We got to know about ‘Car Parking and Commercial Complex’. Besides this, you won’t get anything better. They help you park your car and allot you the location where to park. It depends upon the time interval for which you want your car to be parked there. This Complex right now is under construction (Jan, 2017) when I have visited it. They are upgrading to to equip lots more vehicles. 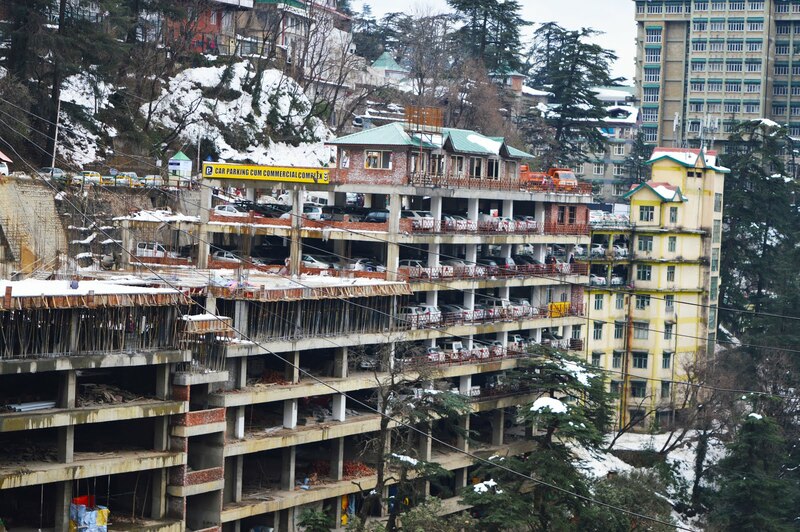 Later on it will be the only area where you can park your car in Shimla before moving on to Shimla Mall Road. 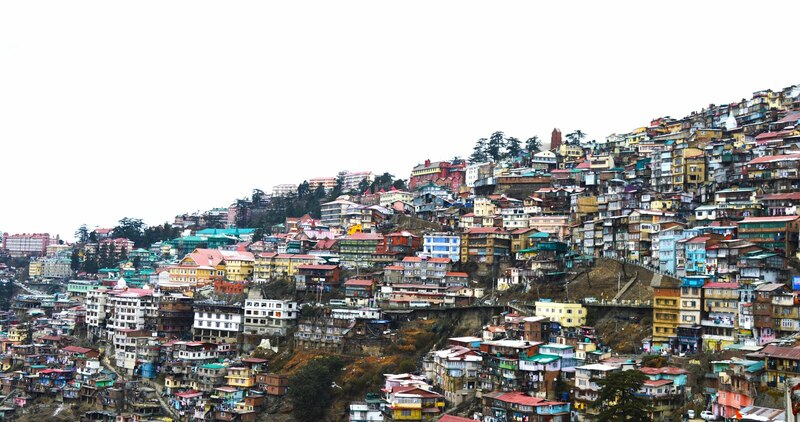 Shimla Committee has restricted entry of any private vehicle to main Shimla district. So you can say that you are bound to park your vehicle here. Visit to Mall Road is again a task which requires a hiking of almost 30 minutes. There is now a lift Facility to reach Shimla Mall Road, which is chargeable. This lift is constructed just nearby to Car Complex Area. It charges you an amount of Rs. 10 per person and Rs. 7 for senior Citizens. Luggage cost is also applicable. Also to Advice, there are very thin roads you can see going up. At the first look it may seem that these roads are for local residents only. But these roads are going straight to Mall Road Shimla. You can ask any local resident there and he may guide you. We also did follow this route only. These roads though need some cleanliness. But yes one of the nice ways to explore more about local people and local Shimla. Excited Us!! Let us start the Journey!! We were all backpacked a day before we had to leave early morning for Shimla. As quiet aware about the chilling weather of Shimla, we packaged one warm jacket, boots, belts, warm socks, warmers, woolen hats, mufflers (if you wear them), gloves and sweater for extra layer to keep us warm. Besides these clothing items, also make sure to keep your ID Proofs which are required during check in to your hotels. We had a plan to leave early morning at around 5 ‘o’ clock because traffic is pretty smooth at that time. We slept at around 9 PM previous day so that we can easily get up early morning at 4 o clock and also we wanted not to sleep all our way to Shimla. Nitin is the only experienced driver this time. We three had to take extra care of him so that he doesn’t feel sleepy anyhow. One drawback with Nitin is that he doesn’t like songs, so all we can do is to play games where we can keep him involved all the way long. We tried games like Antakshari, but they all went boring after some time. The only life saving game that kept us fresh both ways is ‘Atlas’. Surprisingly, I found myself quiet good in this game. Yay. After Chail, we moved towards Kufri Road, as per our plan. 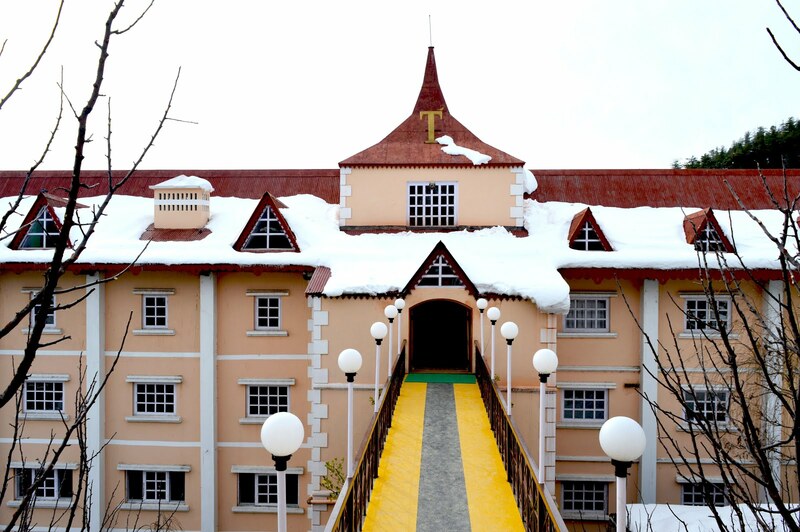 We already had booked our stay in Toshali Royal View of Kufri. We reached Kufri at around 1 PM. As already mentioned, we reached Kufri at around 1 pm that is a ride of approximately 9 to 10 hours. We as per our strategy didn’t get any traffic on the way. Traffic was smooth. We were not even exhausted and were excited to move on for the next adventure. Kufri was our first stop, which is the highest point in Shimla, so it was quiet obvious that we were all surrounded by snow. Feeling like getting jammed in Cold, we checked in to our hotel. They were all quite nice in communication. They helped us resolve our lots of queries and were giving quite appropriate information. One of the gentlemen showed us our way to the rooms. This resort is located down in the basement. Quite a different concept it has, giving one of the amazing views. Our rooms were facing the breathtaking scenery. Mountain all around covered with snow and cloud seems like soon to attack them to shower some more of snow. As we entered the room, we were pleased by the spacious room and all the amenities it provides. Besides a double bed, it was equipped with a sofa set and a 4-seater dining table. A small kitchen was also there (that was yet another fascinating thing present in the room). One Heater was also present in each room to keep us warm and cozy in such cold weather. There was one sports room giving you the facility to play carom board, chess and many more games which can be enjoyed by kids. Another interesting this was the presence of Billiard Room (with availability of varied drinks). We spent almost an hour here. Presence of Billiards made our day, seriously. This is one of Nitin’s favorite and I enjoyed learning from him. It was an immense pleasure. We had our dinner at the resort only. The food was decent. After enjoying sports, we headed straight toward dining hall. The dining hall as per me needs some enhancements, but the food was decent. The food can be served directly to room also. It was quite dark and chill. We headed straight to our rooms. We four had a plan to stay in one room all night and play games. So we shifted both the heaters in one room and made a comfortable seating. We played cards at night for long and had lots of fun. We already had arrangement for our snacks and drinks in the evening when we were out for Kufri sightseeing. Mahasu Peak is the highest peak in Kufri which can be reached by riding horses. The horse owners have already created muddy and adventurous road for the same purpose. They charge 600 to 700 rupees per person for the return trip which includes your gum boots too. Bargaining is also possible there. 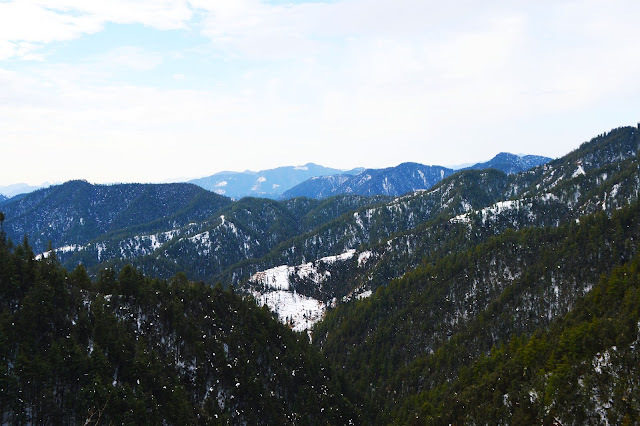 It takes approximately 45 to 50 minutes to reach Mahasu peak. This ride of approximately two hours both ways is truly amazing and was quite a different experience for me. This peak also provides you the view of Kedarnath and Badrinath ranges. Kufri Fun World is located at the top of Mahasu Peak. It is one of the highest amusement park and famous for its highest go-kart track. Reaching here is already an adventurous trip as already mentioned above. The more you reach closer to the place the more you can hear the fun filled voice of public already enjoying there. You can hear music all time and see the smile on the faces. Enjoy your go kart ride. 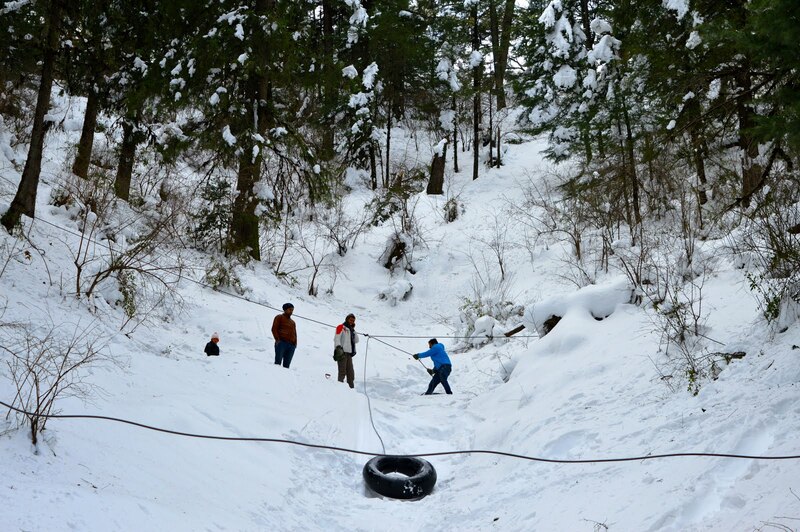 Make sure to experience the zip-lining of Kufri. Lots of Maggi vendors are available there to enjoy snacks in between your play. Many other different swings are there for the kids to enoy. Kufri Fun world is open all days of the week from 10 A.M to 6 P.M. It comes with an entry fees though. Price depends upon the type and count of activities you wish to perform. 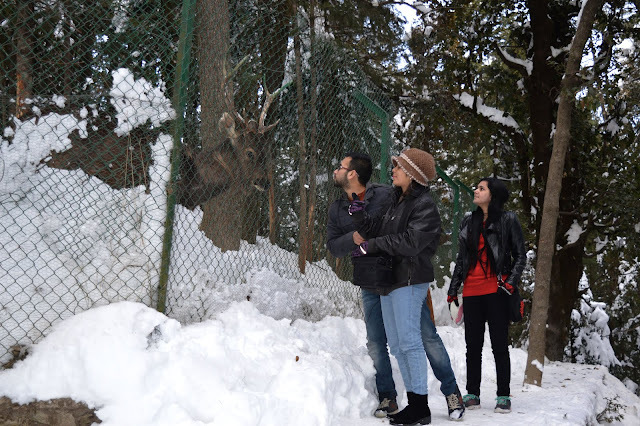 Kufri Zoo or Himalayan National Park is yet another tourist attraction sport in Kufri. Varied species of bird and uncommon mammals can be seen here, including Musk Deer and Snow Leopard. It comes with entry fees of Rs. 30 per person. 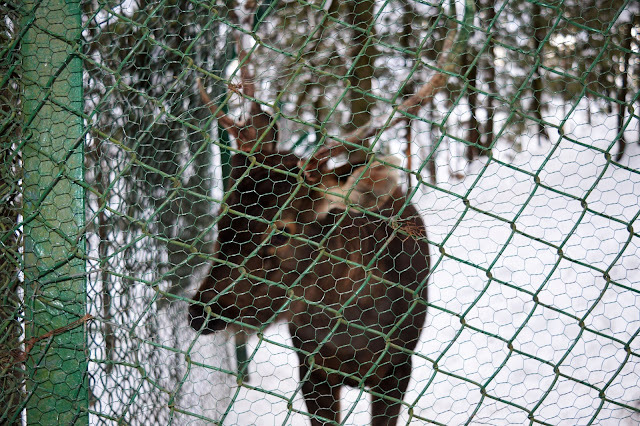 You can easily spend your one hour witnessing the mammals and enjoying the snow here. Viceregal Lodge, also known as Rashtrapati Niwas is located at distance of 3 kms from Shimla Mall Road. It is found to be closed every Monday. It is open for public from 10 a.m. to 5 p.m. It comes with entry fee of Rupees 20 for adult and Rupees 50 for foreigners. This place has now been converted into Indian Institute of Advances Studies. Himachal State Museum can be visited after a hike of around 1500m. It consists of rich collection of anthropological items, miniature paintings, oil paintings, and many other varied items. The museum is situated on a hill. Jakhoo Temple also spelled sometimes as Jakhu Temple, is a place for Hindu Devotees. 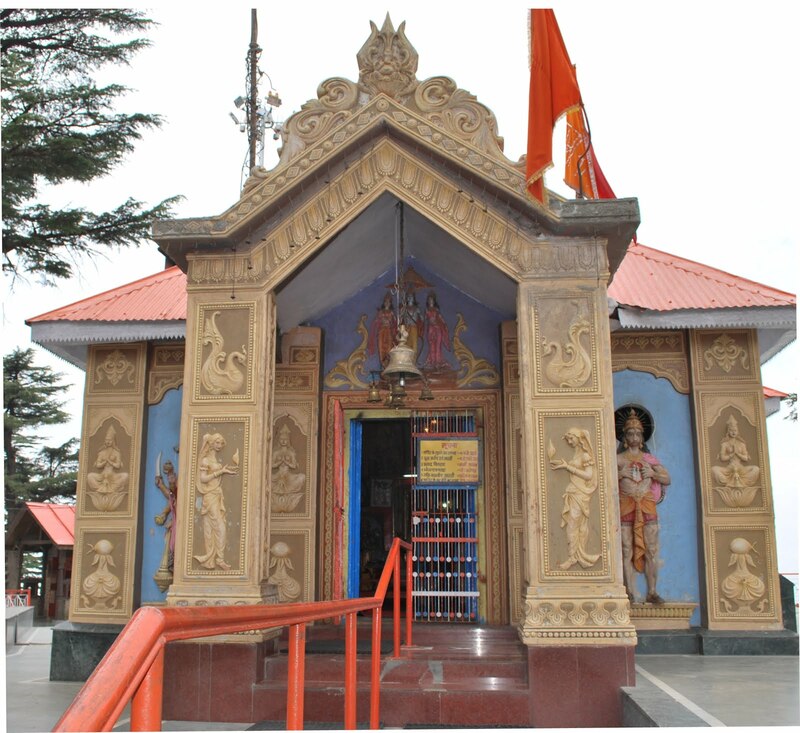 This Temple is dedicated to Lord Hanuman, for which a very huge sculpture of Lord Hanuman rests here. This sculpture is quite visible when you see on top of that hill. You need to hike for about half an hour to reach this temple. You will encounter lots of moneys on your way to the temple. It is advised not to carry any food or expensive item on your way to temple, and do carry a stick with you to keep them away from you. But yes to add on further, these moneys won’t harm you in any way. There are just present there to protect the temple. If anyhow they reach you, do not panic because they will only take away the food or any other item from your pockets. It did happen with us. When we were just about to step into Temple, Monkeys came to us. My Sister was carrying a handkerchief in her hand and chocolate in her pocket. They managed to take both the belongings from her. What you need to do is just stand with both hands raised up. They will check you up and leave you to go further. Yeah. This is exactly like you get yourself checked by humans while entering any protected area like mall or stations. The Restaurant is one of quite decent place to lunch or dine at while on your way to Shimla from Kufri. Don’t get confused by the name of the restaurant, it is named as ‘THE RESTAURANT’ only as can be seen by the advertisement they have done. Both vegetarians and Non- vegetarian’s options were very nice taste wise and I even liked the way the food was cooked. Even the tea was prepared like at home. Not to miss place as per my suggestion. 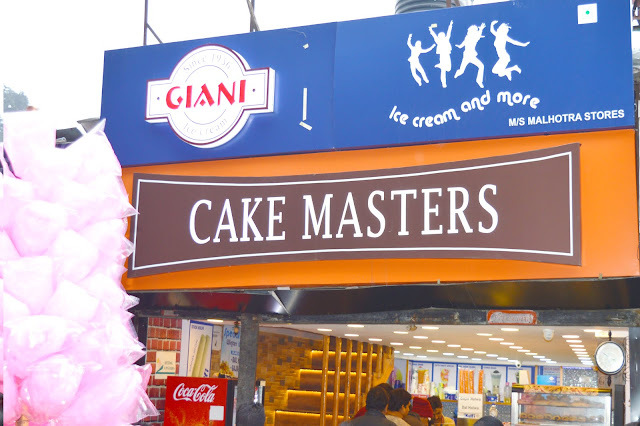 Cake Masters is not the place for proper dining located at Shimla Mall Road. But I would recommend trying it once. We ordered Aloo patties, Paneer Patties and one Brownie. Patties were amazingly very crispy and fresh. The taste is like ‘No One can Eat just One’. We actually ordered two more. 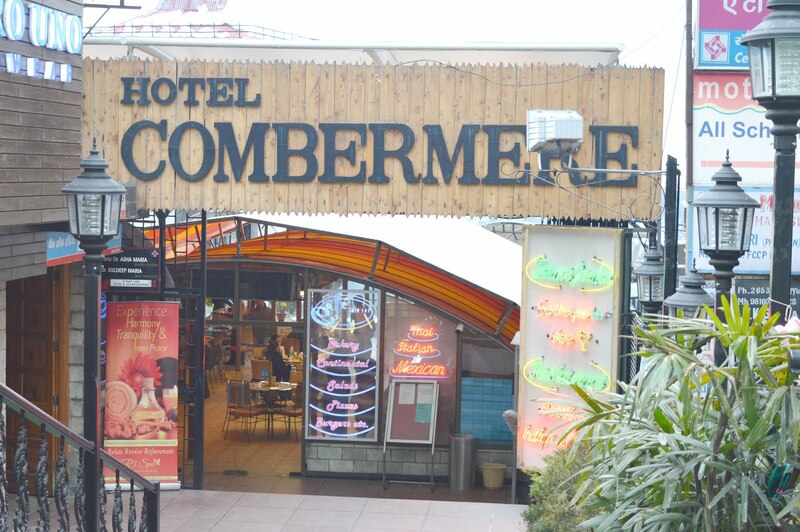 Hotel Combermere is located at its best location in Shimla, I would say. Shimla market is easily accessible from here. It has really good food and even better coffee shop. The interior is also very fascinating. You can get your stay booked at this hotel only. I would suggest that too. It is really a very nice property. Nature has lots to offer only if you are willing to invest your time and money. After spending two days in Shimla, all I would say is that this place is not less than Heaven especially during Snow time. Wow it's really helpful article:) Thanks nitsa travel for sharing your experience.